The beauty may go undiscovered or experienced. The 13 Goddesses of Inner Light. .
Join Genii in this new higher learning of The Light Points of Feminine Power and know yourself as a Goddess. 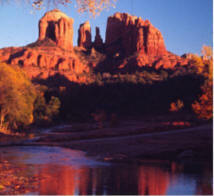 of Sedona, also known as “The Genii." Genii may be contacted at (928) 284-5566 or by email at thegeniiconnection@msn.com.